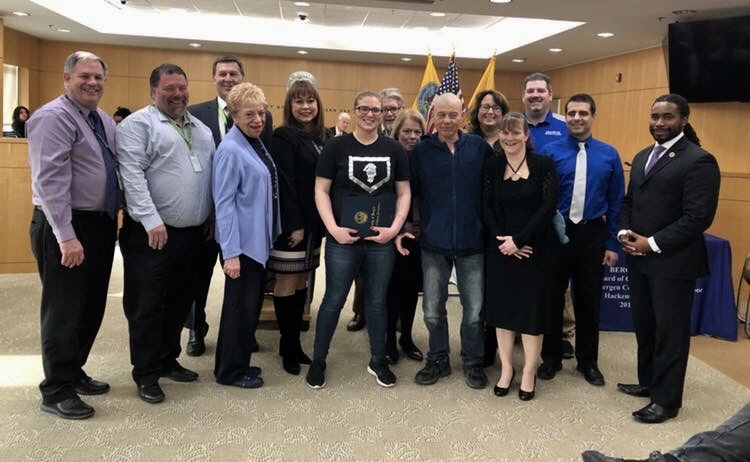 The Bergen County Freeholders recognized Teaneck High School senior, Erin Emery, for her 2019 State Wrestling Championship...the first woman ever to win! Her parents, coaches, and Teaneck Superintendent were all present for the recognition ceremony. 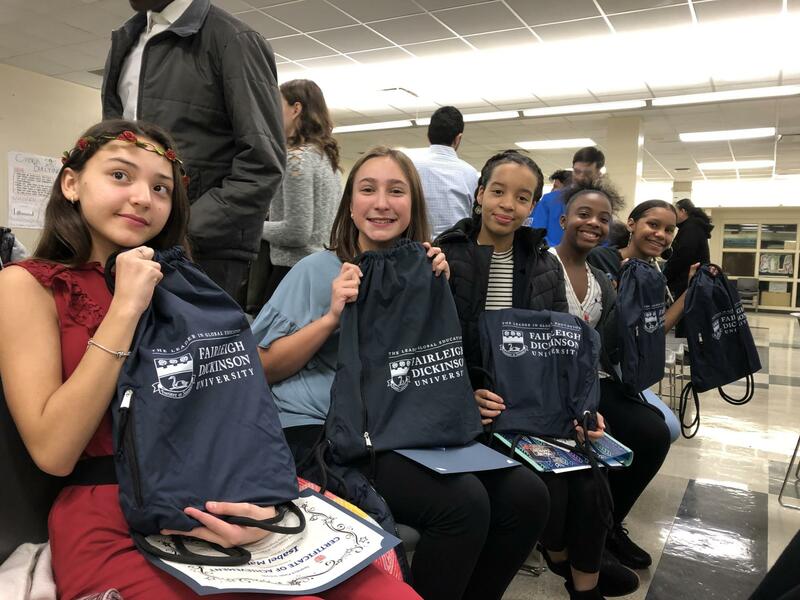 Last month, 14 students (from Teaneck High and Benjamin Franklin Middle School) graduated from one of three amazing STEM programs at the Fairleigh Dickinson University's School of Computer Sciences and Engineering. The 14 students were recognized for this outstanding accomplishment at the December 12 Board Meeting. This program was made possible thanks to the advocacy of Ms. Rhona Vega of Parent Matterz. 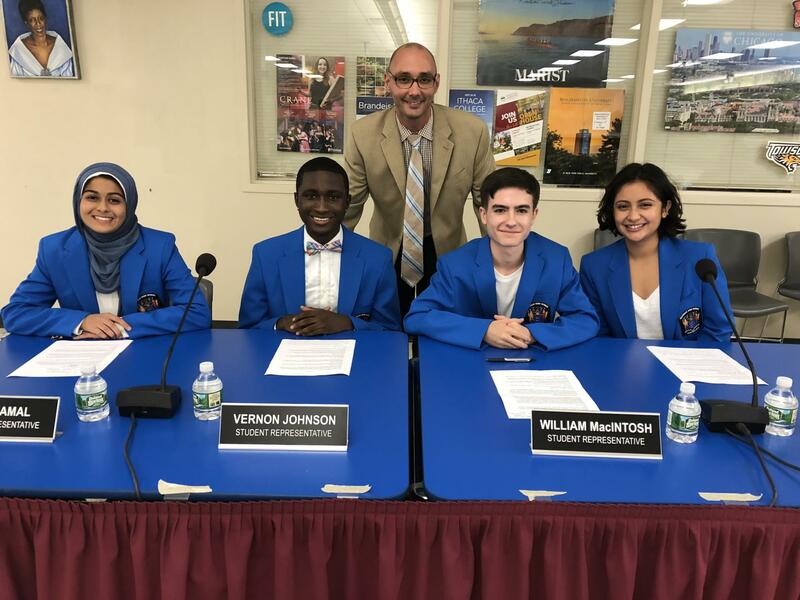 Although the FDU high school programs have been in existence for over 15 years, this is the first time that Teaneck Public Schools has participated. Professors from Fairleigh Dickinson University taught each of the 8-10 week Saturday sessions (held at FDU) and our students were treated to breakfast and lunch, and provided all lab materials. 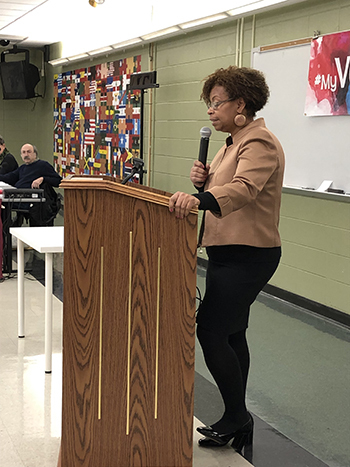 A new group of students will be eligible to participate in February 2019. Teaneck Football Jr. 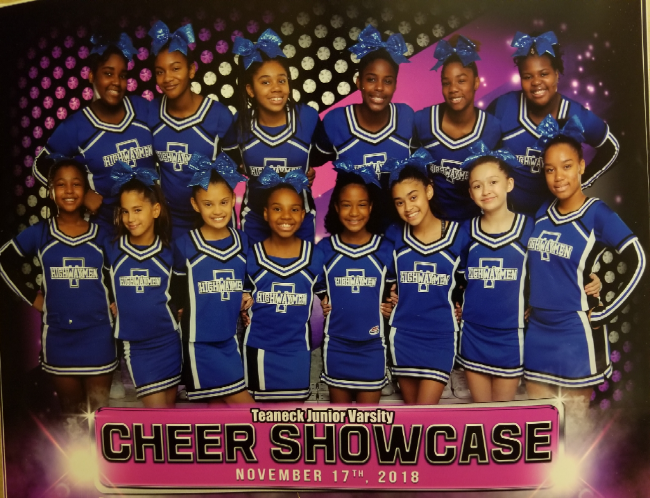 Varsity Cheer Squad participated in a Showcase and Exhibition at Paramus Catholic High School. These young ladies won first place within their division and first place overall! Teaneck High School Sophomore, Short Stop, Aries Samek has verbally committed to play baseball at Notre Dame University. 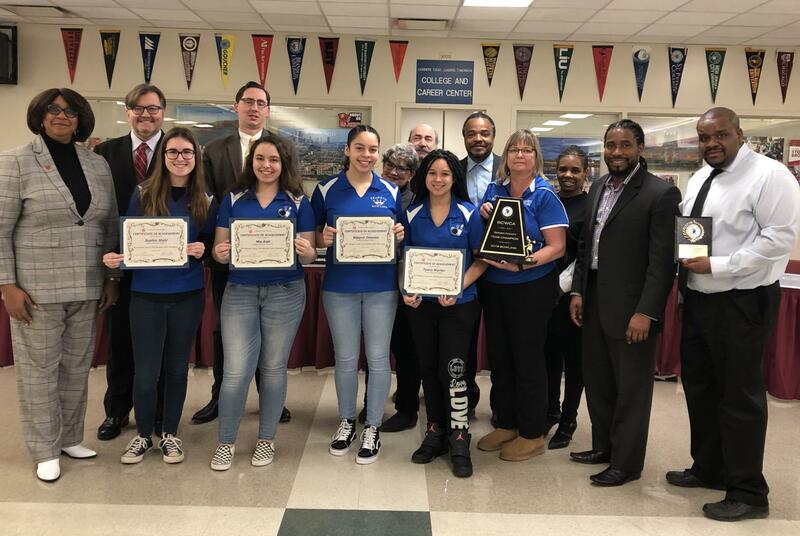 Two of our high school seniors, Kayla Style and Mika Rivera, were recognized by the Board of Education for being selected to serve as Junior Commissioners of the Bergen County Commission on the Status of Women. 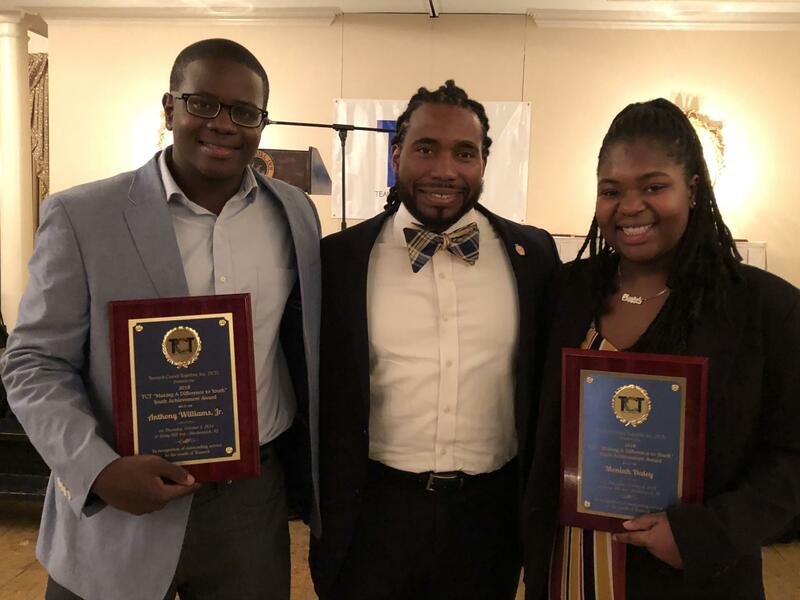 Teaneck was the only district to have two students selected to serve for the 2018-2019 school year. 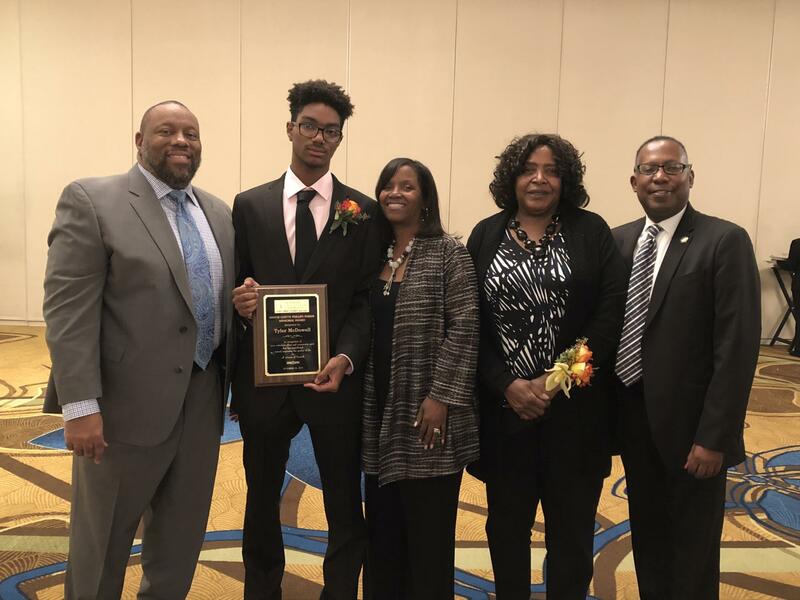 Teaneck High School students, Anthony Williams, Jr. and Moniah Dailey, were recently honored by Teaneck Comes Together, Inc. for their "Youth Achievement Award". Superintendent Irving, Principal LoGiudice and Assistant Principal Mack were present for the special recognition. 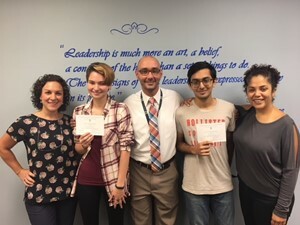 Seniors Calen Picard-Carroll and Shaheer Syed have been named as Commended Students in the 2019 National Merit Scholarship Program. Approximately 34,000 Commended Students throughout the nation are being recognized for their exceptional academic promise. Although they will not continue in the 2019 competition for National Merit Scholarship Awards, Commended Students placed among the top 50,000 scorers of more than 1.6 million students who entered the 2019 competition by taking the 2017 Preliminary SAT/National Merit Scholarship Qualifying Test (PSAT/NMSQT). "The young men and women being named Commended Students have demonstrated outstanding potential for academic success," commented a spokesperson for NMSC. 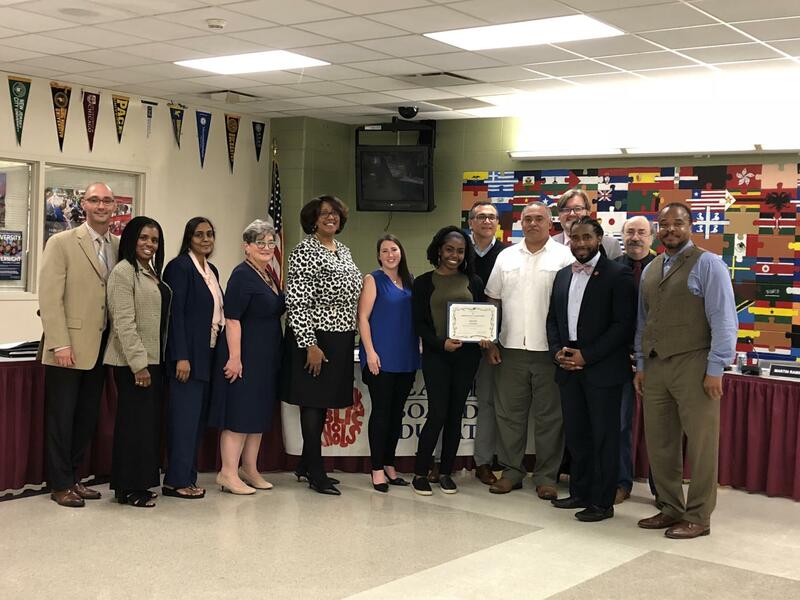 "These students represent a valuable national resource; recognizing their accomplishments, as well as the key role their schools play in their academic development, is vital to the advancement of educational excellence in our nation. 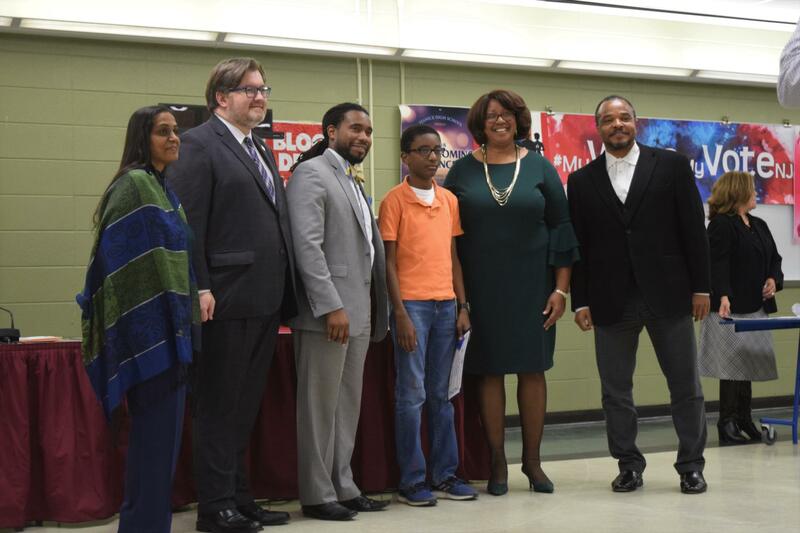 We hope that this recognition will help broaden their educational opportunities and encourage the as they continue their pursuit of academic success." Pictured are Calen and Shaheer along with their guidance counselors, Ms. Lillian Garcia and Ms. Chiara Levy, and Interim Principal Piero LoGiudice. 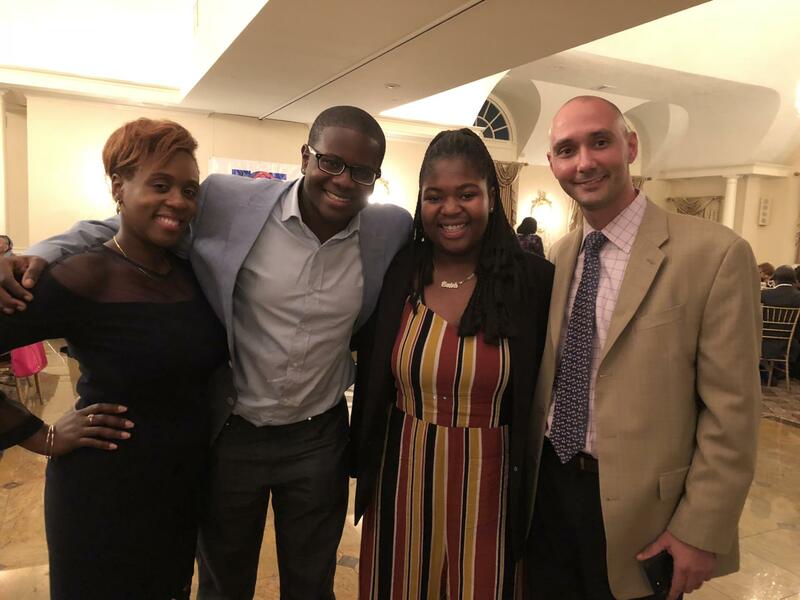 Members of the Teaneck High School Activism Club attended the "Your Vote is Your Voice: Students Demand Action" Summit on September 15th at the Puffin Foundation in Teaneck. Sessions focused on strategies for getting high school and college students registered to vote and inspiring them to cast their ballots. Pictured are 12th graders Sidra Razzaq, Moniah Dailey, and Leandra Mekuli along with NJ Senator Loretta Weinberg and THS Activism adviser Ms. Laqui.